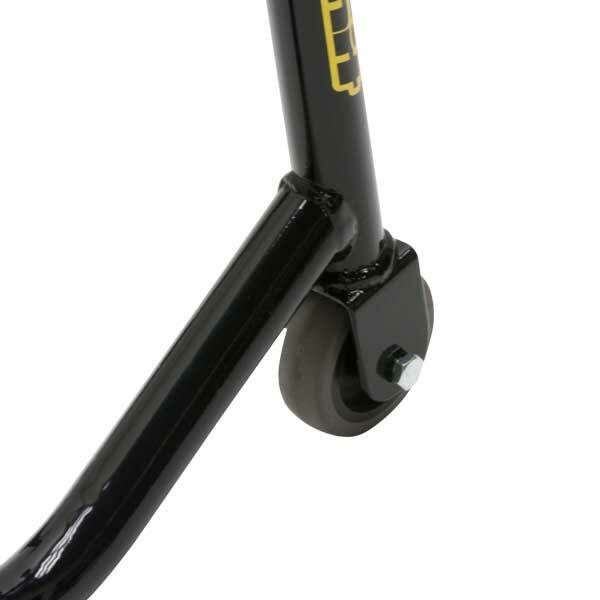 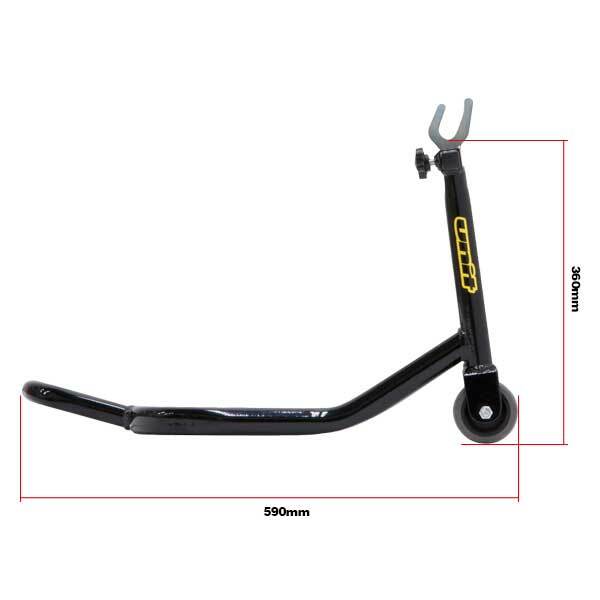 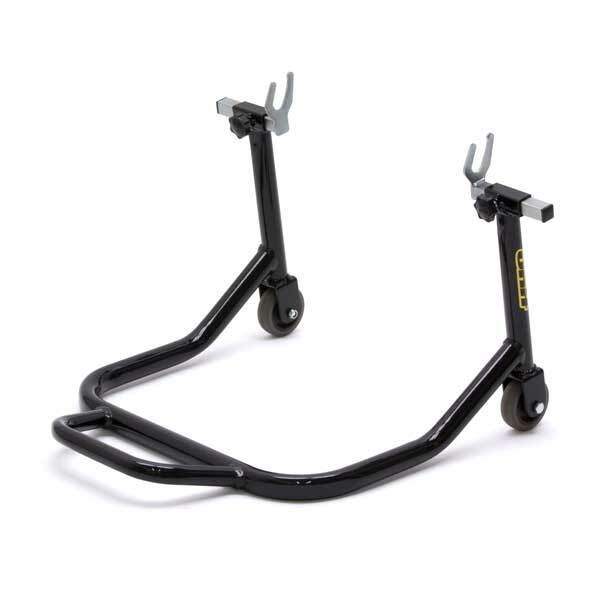 - Street bike universal rear spool stand allowing rear wheel removal and easy chain adjustment or maintenance. 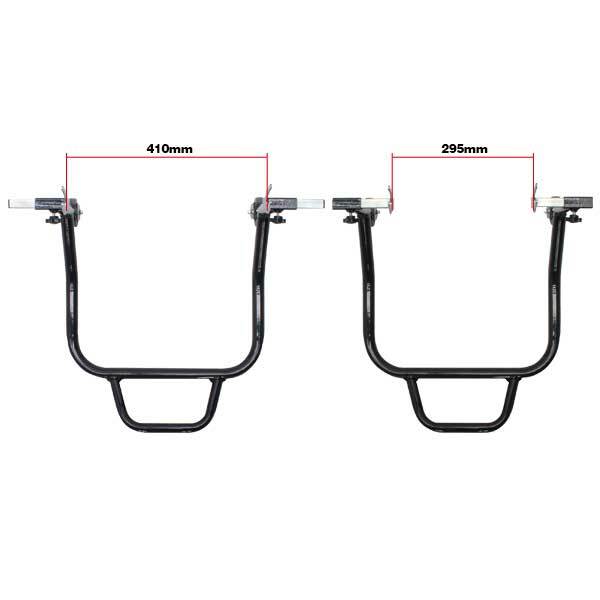 - Lift bike with installed swing arm spools. 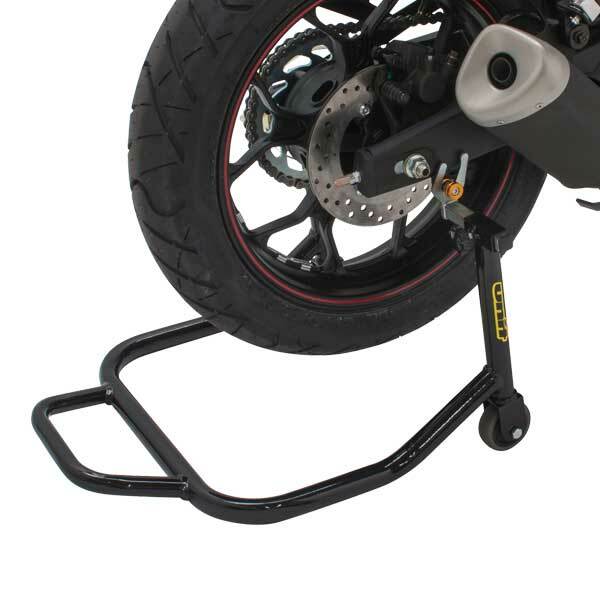 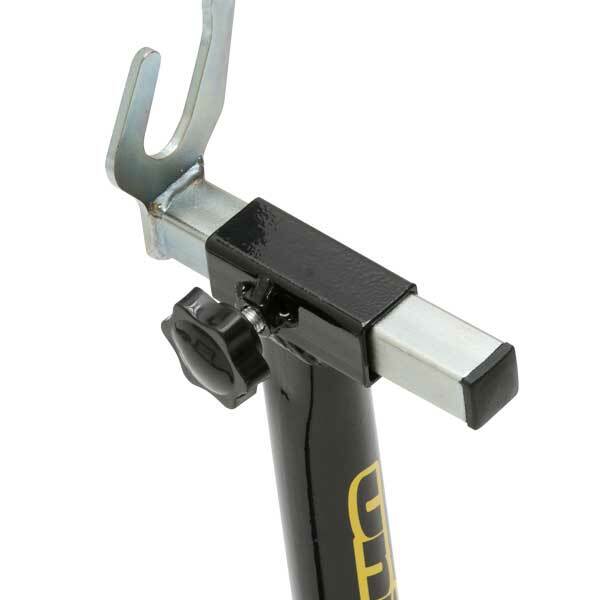 - Adjustable U shape adapter to fit many different street bikes. 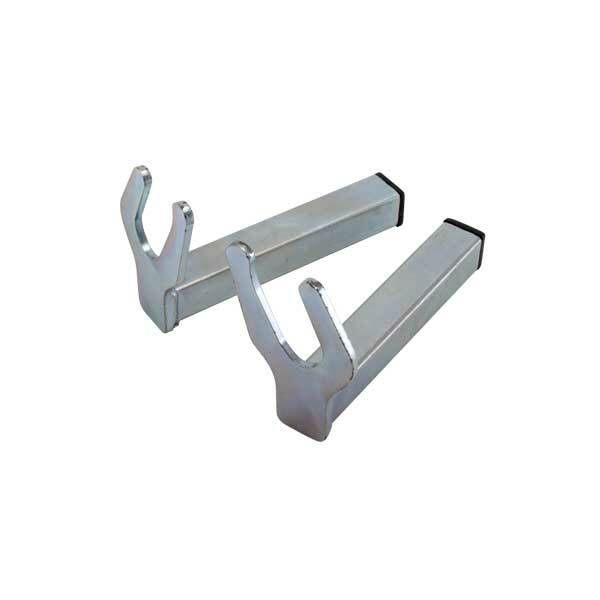 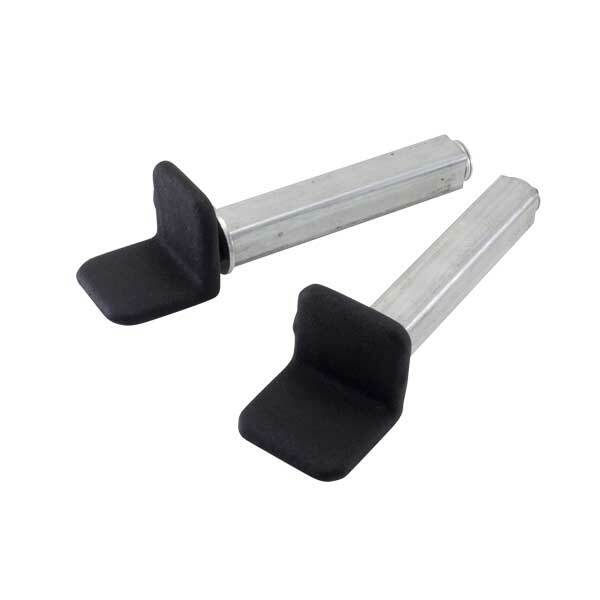 - U shape adapter design catches and holds the spools securely even stands fits diagonally.